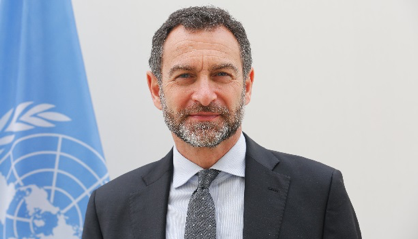 Toby Lanzer is the United Nations Secretary-General’s Deputy Special Representative for Afghanistan. He arrived in Kabul on 1 March 2017, and also holds the posts of UN Resident Coordinator (for One UN) and Humanitarian Coordinator. Since 1992 he has held various positions within the UN system, having served as Regional Humanitarian Coordinator for the Sahel; Deputy Special Representative of the Secretary-General in South Sudan; Chief of Staff of the United Nations Integrated Mission in Timor-Leste (UNMIT); UNDP Resident Representative in the Central African Republic (CAR); Mr. Lanzer has also worked for the UN at headquarters and in Georgia and Russia, as well as for non-governmental organizations in Brazil and Chile.